That costs like it’s made of gold? Ah, Christmas Carols. There are dozens of them, which is great, because you need a lot of them to pass the time on a 7-hour drive in a Series II-A. Given the noise levels of a II-A at interstate speeds, you should sing them loudly, too. I learned this anew when I found myself invited to spend pre-Christmas time gawking like any tourist in New York City. The weather in New England can be quite fickle in December, ranging from sunny and balmy to snowy and frigid. On my multiple December trips from Maine over the years I’ve encountered them all. 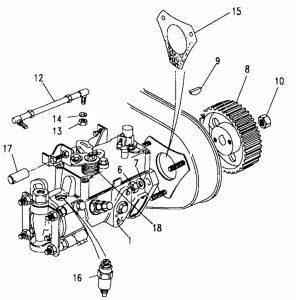 This year the decision on which vehicle to take—the other 50-year-old one or the 36-year-old one—became more difficult as I reviewed a checklist of recommended preventative maintenance. One car took itself out of the running by waking up with a dead battery; the other is a malaise-era British Leyland parts bin that would tax the laws of averages. That left the ‘66 Series II-A. On a December morning I begged the use of the local electric co-op’s garage and slid underneath the QE I. The oil did appear a bit black-ish (actually, it looked like ink from a giant squid) but the fresh oil returned the innards of the sump to the engine’s preferred color and tone. A new copper washer at the drain plug bolt, with a fresh oil filter and o-ring seal, assured me that any oil leak would arise from somewhere else in the engine. 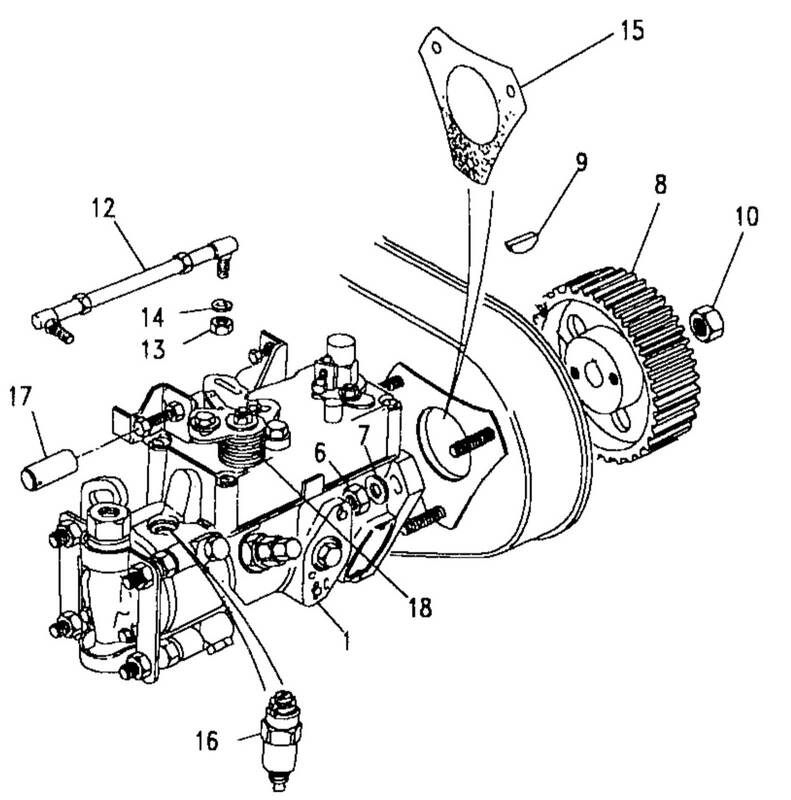 Vast quantities of gear oil were required to fill the rear and front axle, transfer case, transmission, swivel balls, steering box and overdrive. Once filled to the brim they promptly began leaking. The points, cap and rotor, all looked ok, so I just packaged them up as emergency spares. I’m glad I checked the spark plugs for color and condition, as they can help diagnose potential problems; happily, they just looked worn and were replaced with new ones. I filled the gas tank (which does not leak) and began the drive. When Rovers North installed a rebuilt engine in the QE I 22 years ago, I found that I could run at 65 mph and still have passing power in reserve. The II-A would also hold that speed on most hills and not use any oil in between 3,000-mile oil changes. After 382,000 miles of daily driving, 60-65 mph remains a comfortable cruising speed, but I pass fewer vehicles. 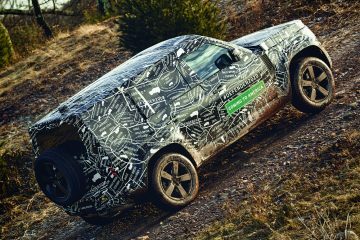 Oil consumption at highway speeds now rises to 700 miles/quart, but Land Rover got it right with this 4-cylinder wonder. Still, the design harkens back to days when interstates and motorways were visions, not realities, and contemporary speed limits assure a lot of right hand lane driving in a 51 -year old vehicle with leaf springs and drum brakes. On the return trip, somewhere around hour 6 of the drive, I realized that for all the engine, tire, gearbox and wind noise, Ye Olde Land Rover just kept running and running. I sat, perched behind a massive, spoked steering wheel, sitting upright just like my mother urged me to do. 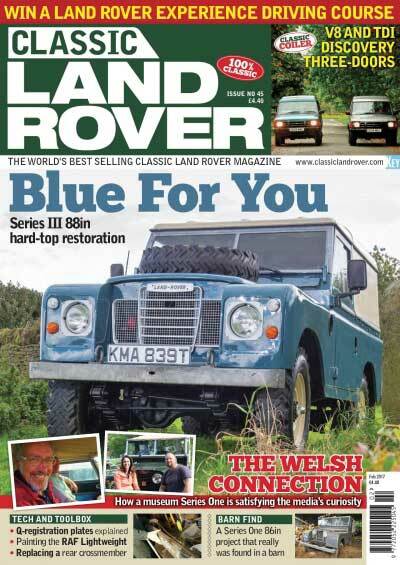 Given my appearance, there’s no reason anyone should give me a sideward glance on the highway, but in the Land Rover, well, I become a celebrity. Yes, I know that most any contemporary econobox will also run all day, faster and more comfortably, but 50 years from now, will they still be doing something important? Car and Driver Senior Editor Jared Gall has all the cred as a car guy. He studied to become a mechanic, hoping to become an instructor of mechanics. Then came an internship at Car and Driver, and 10 years later, he’s still avid about automobiles while turning a wrench; he’s restoring a ‘67 Chevelle. 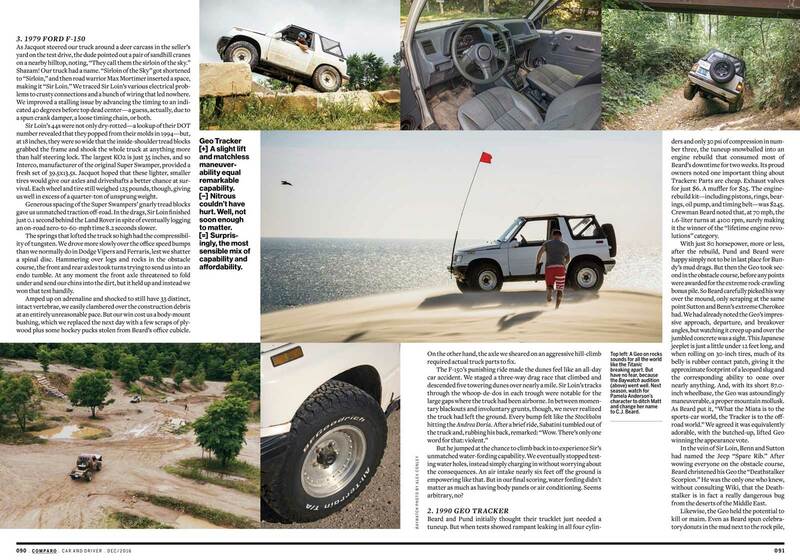 This time, the challenge was finding off-road beaters. 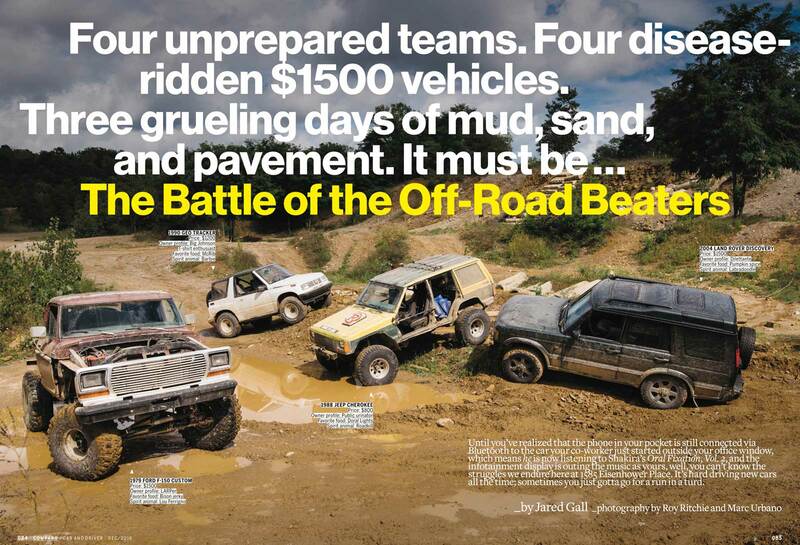 Three teams of Car and Driver writers and staffers challenged themselves to find an off-roader at a maximum purchase price of $1,500. Some teams had off-road experience, some had none. As a journalist, Gall’s contest sat right in my price range and intrigued me. Once I read it I had to call him to get the backstory. He noted that the teams got what they paid for. 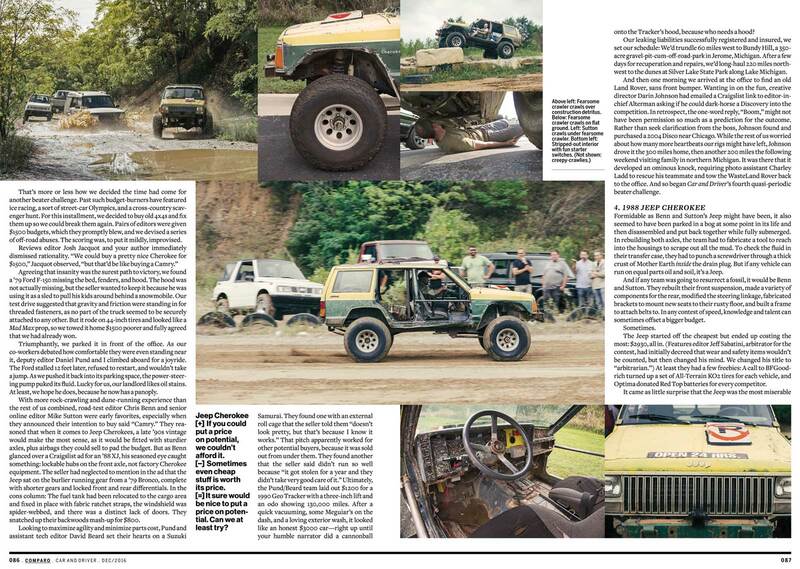 One found a 1988 Jeep Cherokee [named Spare Rib] with no doors, but mud everywhere. It required a full suspension rebuild and as well as fabricated brackets to secure the seats in place. Another team sourced a 1979 Ford F-150 [Sir Loin]; this one had doors, but no pickup bed. 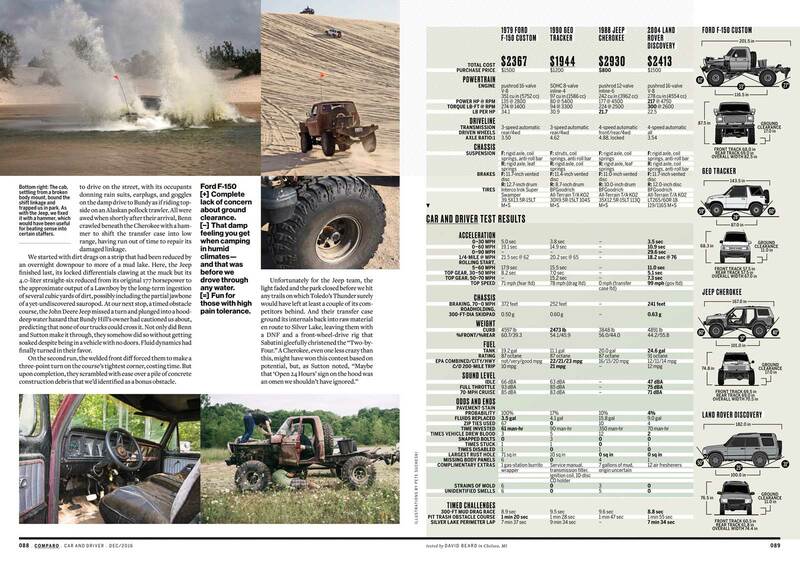 With a giant lift kit and 39.5 x 13.5 Super Swampers, it beat up its occupants and had minimal versatility. A 1990 Geo Tracker [Deathstalker Scorpion] came with only 30 psi in one of its few cylinders and would require an engine teardown to compete effectively. 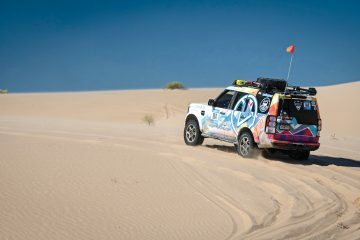 Then one more team, with zero off-road experience, entered with a 2004 Land Rover Discovery [Wasteland Rover]. Creative Director Darin Johnson found his in a Craigslist ad in Chicago. Teamed with photo assistant Charley Ladd, Johnson drove it 500 miles to the event. An ominous knock turned out to be a bad power steering pump. Otherwise, everything worked except the passenger’s power seat motor. Oh, yes, and the Discovery was stock, save for a missing front bumper. To prepare for the off-road competition, they invested in an ignition coil, some O2 sensors and plug wires. And because it’s a Land Rover, $150 for a new stereo so they could compete in supreme comfort. The results might be best summarized by the following caption from the article: “Four unprepared teams. Four disease-ridden, $1,500 vehicles. Three grueling days of mud, sand and pavement.” Guess who won? The Discovery, of course! The admittedly-dubious scoring ranged from a winning 30 points to a fourth-place 9.5 points, out of a highest possible 42. The Discovery team of novice off-roaders (creative people, for goodness sake!) trounced the competition in the mud run and a three-mile off-road course. And naturally, it won the “road drive” (so much so that the team enjoyed a beer and some golfing while waiting for the other teams to arrive) and “amenities” (stereo, air conditioning, comfortable leather seats) categories. We’re not surprised, of course. 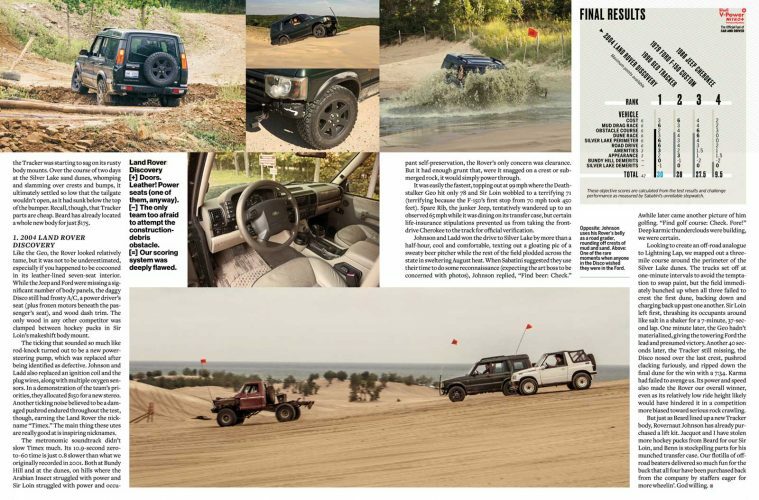 The Discovery I, II and III [alright, LR3, as Land Rover North America insisted –ed.] 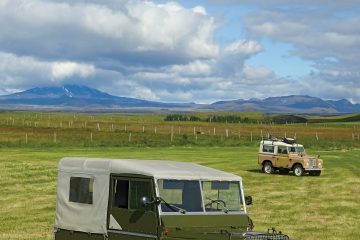 have proven enormously popular with enthusiasts, and we’ve featured numerous articles on adventures made possible by their Discoverys. Oh, and it’s also no surprise that Darin Johnson has already bought a lift kit for his Discovery. 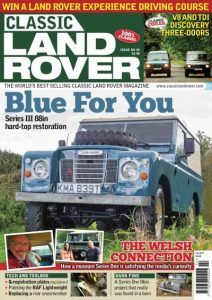 Vicky Turner, the Editorial Assistant at Classic Land Rover magazine in the UK, wrote me, “You couldn’t write anything this good!” She was talking about a most compelling moment within the Land Rover enthusiast community. Here’s the backstory. Vicky asked, “I wondered, with your help, whether there might be a solution closer to home for him.” I looked at the name at the bottom of the letter; it was Land Rover mate Noel Bishop, a Rovers Magazine reader and long-time friend of Rovers North. 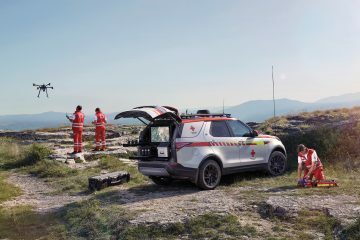 But if Rovers North didn’t carry the tool, where to turn? 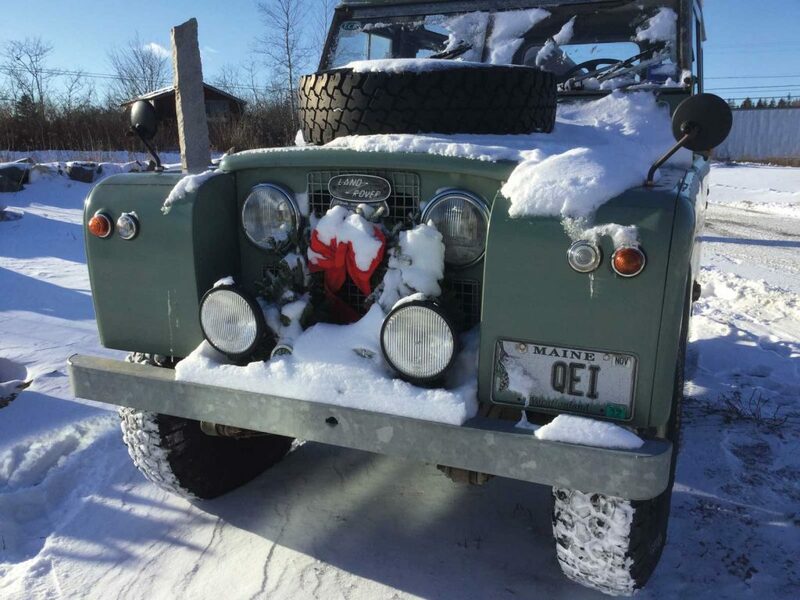 I remembered a communication with Land Rover specialist Ed Starr of Resurrected Rovers in Chocorua, NH, who helped correspondent Alaina Poole source a starter for her 2.25 diesel. When I called to see if Ed had the tool, he professed amazement at the timing of the call. A customer had recently brought in some ex-MoD 110’s with the 2.5 engine and expected Ed to help maintain and repair them—the tool would be an important one for his shop. Ed would happily purchase the tool and loan it out to Noel.